Determining whether to fuse a Lenke 5 curve to L3 or to L4 is often a difficult decision. The purpose of this study was to determine preoperative variables predictive of an “ideal” or “less than ideal” outcome for Lenke 5 curves instrumented to L3. 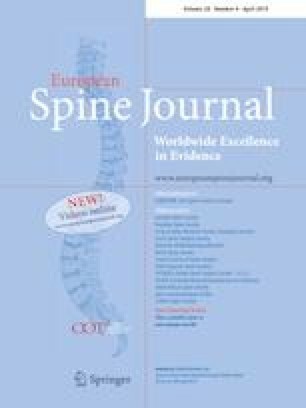 A multicentre registry of adolescent idiopathic scoliosis patients was queried for surgically treated Lenke 5 curves with a lowest instrumented vertebra (LIV) of L3 and minimum 2 years of follow-up. Five seasoned surgeons qualitatively rated the 2-year postoperative images as “ideal” or “less than ideal” with respect to correction and alignment. Preoperative and postoperative radiographic variables were compared between the two groups. Multivariate regression analysis was performed to determine variables most predictive of a “less than ideal” outcome. One hundred and thirty-nine patients met criteria. Twenty-three were considered “less than ideal” by ≥ 3 surgeons; 81 were unanimously “ideal”. Preoperatively, the “less than ideal” group had significantly stiffer curves, greater apical translation, and greater LIV angulation and translation. Multivariate regression found that preoperative L3 translation (p = 0.009) was the single most important predictor of a “less than ideal” outcome: < 3.5 cm consistently resulted in an “ideal” outcome, while > 3.5 cm risked a “less than ideal” result. While multiple variables are important in achieving an “ideal” outcome in Lenke 5 curves, this study found preoperative L3 translation was the most important predictor of success with an L3 translation < 3.5 cm being a potential threshold for selecting L3 as the LIV. The online version of this article ( https://doi.org/10.1007/s00586-019-05960-z) contains supplementary material, which is available to authorized users. A research Grant to Setting Scoliosis Straight Foundation from DePuy Synthes Spine was received for Harms Study Group research. Dr. Phillips has nothing to disclose. Dr. Yaszay reports grants from Setting Scoliosis Straight Foundation, during the conduct of the study; grants and personal fees from K2M, grants and personal fees from DePuy Synthes Spine, personal fees from Nuvasive, personal fees from Medtronic, personal fees from Orthopediatrics, personal fees from Stryker, personal fees from Globus, grants from Setting Scoliosis Straight Foundation, outside the submitted work; In addition, Dr. Yaszay has a patent K2M with royalties paid. Ms. Bastrom reports grants from Setting Scoliosis Straight Foundation to her institution, during the conduct of the study. Dr. Shah reports grants from Setting Scoliosis Straight Foundation, during the conduct of the study; personal fees from DePuy Synthes Spine, grants from Setting Scoliosis Straight Foundation, personal fees from Nuvasive, outside the submitted work. Dr. Lonner reports grants from Setting Scoliosis Straight Foundation, during the conduct of the study; grants from Setting Scoliosis Straight Foundation, personal fees from DePuy Synthes Spine, personal fees from K2M, personal fees from Paradigm Spine , personal fees from Spine Search , personal fees from Ethicon, non-financial support from Spine Deformity Journal, grants from John and Marcella Fox Fund Grant , grants from OREF , personal fees from Zimmer Biomet, personal fees from Apifix, outside the submitted work. Dr. Miyanji reports grants from Setting Scoliosis Straight Foundation, during the conduct of the study. Dr. Samdani reports grants from Setting Scoliosis Straight Foundation, during the conduct of the study; personal fees from DePuy Synthes Spine, personal fees from Ethicon, personal fees from Globus Medical, personal fees from Misonix, personal fees from Stryker, personal fees from Zimmer Biomet, other from Setting Scoliosis Straight Foundation, other from Scoliosis Research Society, other from Children's Spine Study Group, outside the submitted work. Dr. Parent reports grants and personal fees from EOS Imaging, grants and personal fees from Spinologics, grants, personal fees and other from DePuy Synthes Spine, grants, personal fees and other from Metronic, personal fees from K2M, other from Scoliosis Research Society, other from Canadian Spine Society, grants from Canadian Institutes of Health Research, grants from Canadian Foundation for Innovation, grants from Natural Sciences and Engineering Council of Canada, grants from Fonds de Recherche Quebec - Sante, grants from Orthopedic Research and Education Foundation, grants from Setting Scoliosis Straight Foundation, outside the submitted work. Dr. Asghar reports grants from Setting Scoliosis Straight Foundation, during the conduct of the study; personal fees and non-financial support from Omega innovative Technologies, personal fees from Life Spine, personal fees from Globus Medical, outside the submitted work. Dr. Cahill reports personal fees from Biogen, Inc., personal fees from NuVasive, Inc. , outside the submitted work; and AAOS: Board or committee memberÐournal of Bone and Joint Surgery - American: Editorial or governing boardÐediatric Orthopaedic Society of North America: Board or committee memberÐcoliosis Research Society: Board or committee memberÐpine Deformity: Editorial or governing board. Dr. Newton reports grants from Setting Scoliosis Straight Foundation, during the conduct of the study; grants and other from Setting Scoliosis Straight Foundation, other from Rady Children's Specialists, grants, personal fees and non-financial support from DePuy Synthes Spine, grants and other from SRS, grants from EOS imaging, personal fees from Thieme Publishing, grants from NuVasive, other from Electrocore, personal fees from Cubist, other from International Pediatric Orthopedic Think Tank, grants, non-financial support and other from Orthopediatrics, grants, personal fees and non-financial support from K2M, grants and non-financial support from Alphatech, outside the submitted work; In addition, Dr. Newton has a patent Anchoring systems and methods for correcting spinal deformities (8540754) with royalties paid to DePuy Synthes Spine, a patent Low profile spinal tethering systems (8123749) licensed to DePuy Spine, Inc., a patent Screw placement guide (7981117) licensed to DePuy Spine, Inc., a patent Compressor for use in minimally invasive surgery (7189244) licensed to DePuy Spine, Inc., and a patent Posterior spinal fixation pending to K2M. IRB approval was received for this study.